Razzia’s American experience profoundly influenced his work and his career. Between gallery shows and various advertising agencies, he regularly travelled from New York to Los Angeles, Chicago to Miami. With a European’s sceptical eye and old-world experience, he began to know and understand the new-world American dynamism, flushed with contradiction and beauty. 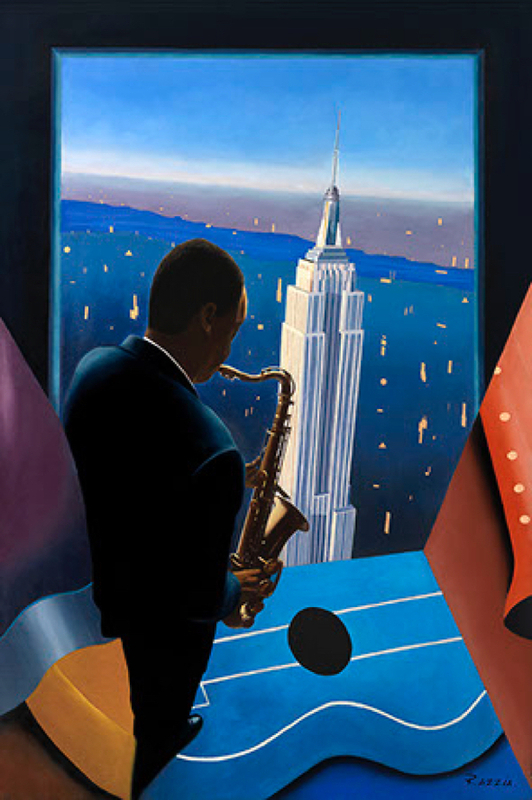 This contrast between the old and new would be reflected in such works as his jazz poster for Stetson hats and other creations on jazz music.